If you’re considering purchasing a 2015 Acura TLX when they arrive at the dealership later this summer now’s the time to order one. Thanks to the Acura TLX Advantage program, reserving your TLX now will earn you special introductory prices, lease, and APR financing rates, and $500 towards Acura Genuine Accessories. If you’re a returning Acura customer the Advantage Program will also benefit you in the form of a “loyalty reward” worth up to two monthly payments (up to $1,000)! New clients and existing owners of a 2004 or newer Acura vehicle who commit with a Buyer’s Order2 from July 7, 2014 to September 2, 2014 and take delivery by October 31, 2014 are eligible for a $500 Personalization Allowance for Acura Genuine Accessories (at MSRP), with which they are able to choose from a list of 2015 TLX Accessories or a special Acura Accessory Value Package associated with the program. Current Acura lessees may be eligible for a lease extension from Acura Financial Services of up to three months to allow for the arrival of an advance purchased TLX. 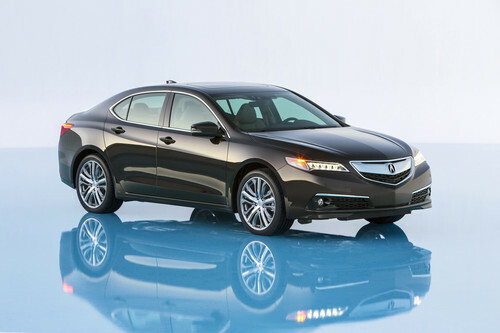 The 2015 Acura TLX is expected in showrooms in August 2014. To learn more about the performance luxury sedan click here.